Looking for an easy, inexpensive way to usher in spring? 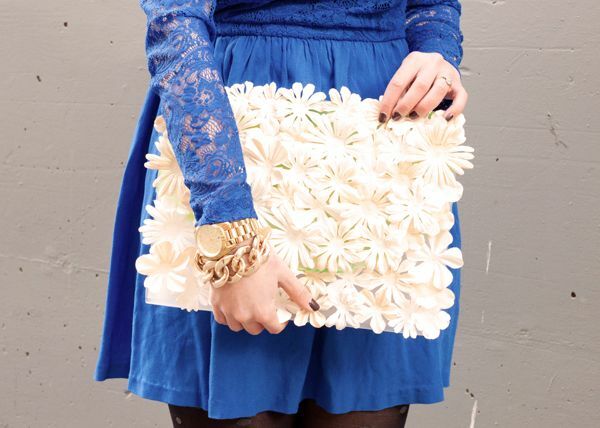 Well step into my office friends, because I have just the thing for you — A flower clutch DIY. Seriously though, can you think of anything more appropriate for the coming season? And with a little time and about $15 in supplies, this baby can be yours too... Oh the possibilities. This is a cute cute idea. I wonder what else you can do with those flowers! 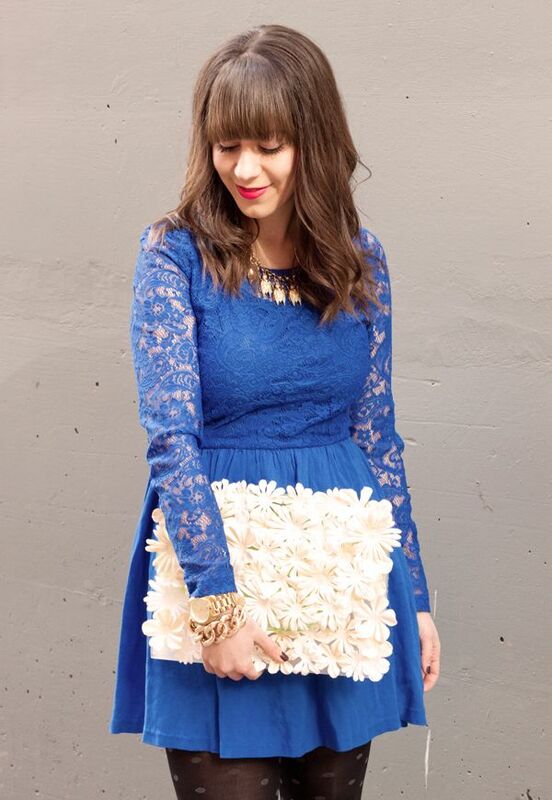 It would be fun to make and I think it would be super for a wedding. I love it, I love it, I love it! So cute Vickie! You crafty lady, you! 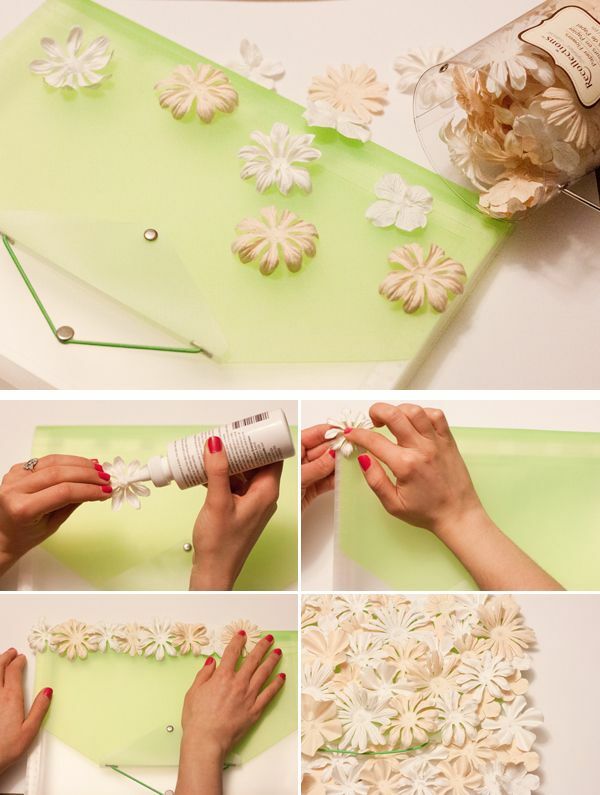 What a fabulous DIY! I love it Vickie! Oh my gosh this is amazing!! I have got to try this! Thanks for sharing. This is great! I was wondering what type of glue you specifically used? I feel that fabric glue never holds like I want it to.